Life can be really uncertain, and presents you with weird situations when you least expect them. But at the end, they make wonderful memories. Today I’m going to share with you all such a memorable that took place only two days back. Its 30th December 2013. 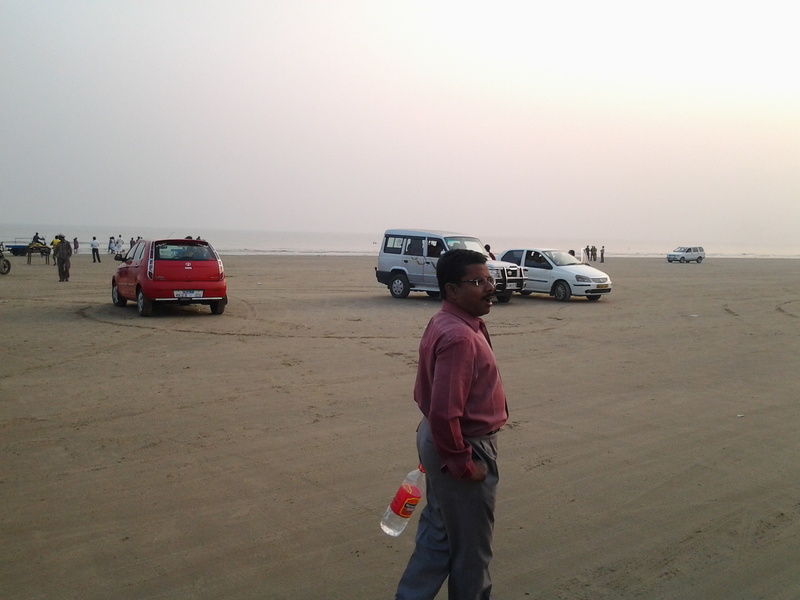 Me and my parents are at Digha, mom’s hometown, in West Bengal. Needless to say, we’re spending time with our extended family and its pretty homely in here. Unfortunately, mom fell ill and we didn’t have the opportunity to spend time at the beach all together. I and dad get bored pretty easily when we have nothing to do. And after lunch, we both got sick of doing nothing, so we decided to go to Mandarmoni beach. We left home from Digha at 3 PM and boarded a bus to Chaulkhola. Upon reaching there, we rode an engine rickshaw (don’t confuse this with an auto-rickshaw) and chugged all the way to the Mandarmoni beach. The beach was superb. The shore seemed atleast 800 metres wide (no, I’m not kidding). The place had more cars than people. Apart from private vehicles, there were engine rickshaws, trekkers, jeeps and commercial vehicles who were willing to give you a joyride if you paid for it. Vehicles kept zooming past us, and never in our lives did we see such a wide expanse of landmass where you could drive without putting your hands on the steering wheel. There were people too, enjoying the beach. Some were sitting under the shade, some playing soccer or cricket and some enjoying the sea splashing on them. 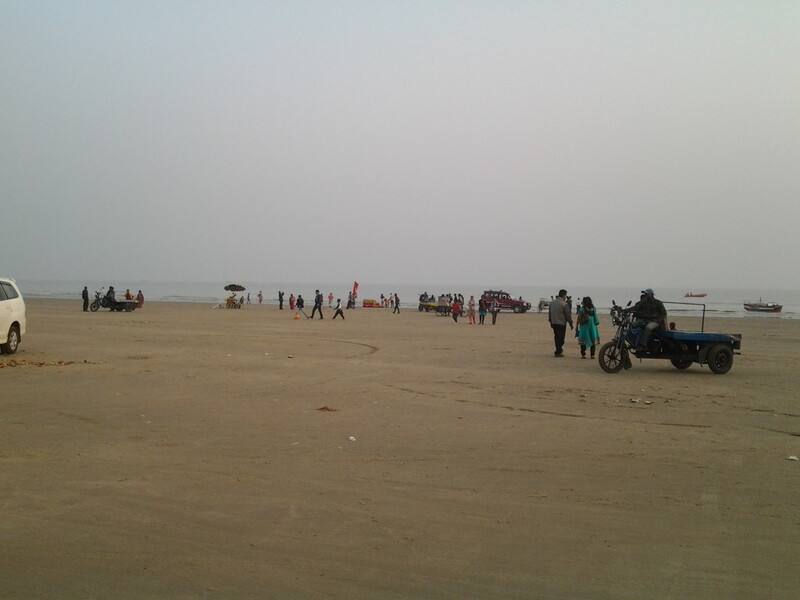 So, we decided to walk to Tajpur. The weather was very nice and the wind on my face felt really good. We saw more people having fun and more vehicles driving past us. People were paragliding on parachutes being dragged by jeeps. Some were driving electric golf carts, dirt bikes and four-wheeled bikes (that made too much jarring noise). When I looked into the sea, I saw women on speedboats engaged in a race. Now I understood why Mamata Banerjee was so intent on making Mandarmoni India’s “second Goa” *cough* *cough*. My dad was talking about transport, connecting the beaches with monorail service and other ideas that would make an impact on West Bengal tourism. Most of it still felt distant though. As we walked further, the place became more and more silent, then we could see more of nature and less of people. The erosion of beaches by the sea was so vivid out here. 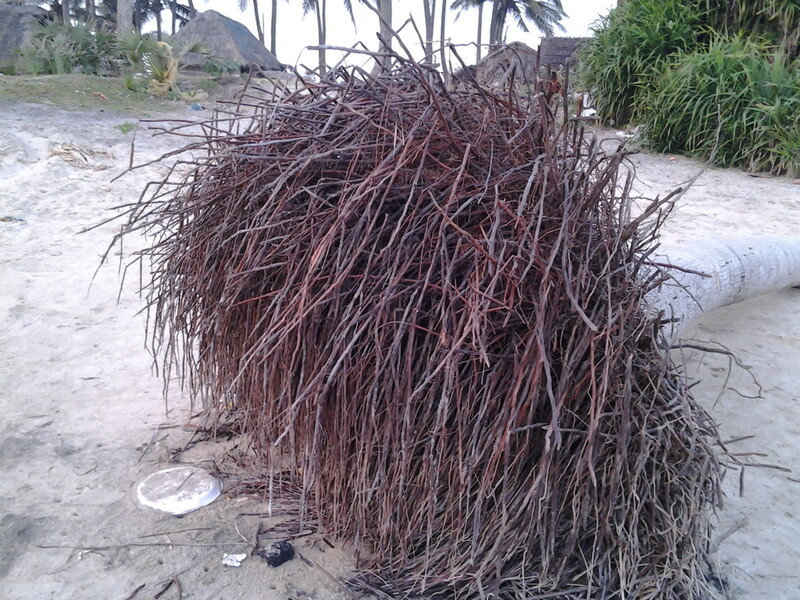 A live coconut tree was upturned and sunk inside the sand with it roots sticking out in the air. Also some “keya” plants (I don’t know what it is called in English) could be seen with their roots sticking out while the soil around them were washed away by the sea. The sea had also attacked some territories and hotels somehow managed to prevent the erosion by putting up barrages of boulders on their interface with the sea. And we were approaching the end of Mandarmoni beach. Something didn’t feel right. It was getting too dark to walk back, and even weirder to walk forward. So we stopped at a rickety tea stall just close to ADB Kanvas (what a contrast! ), to ask for directions. 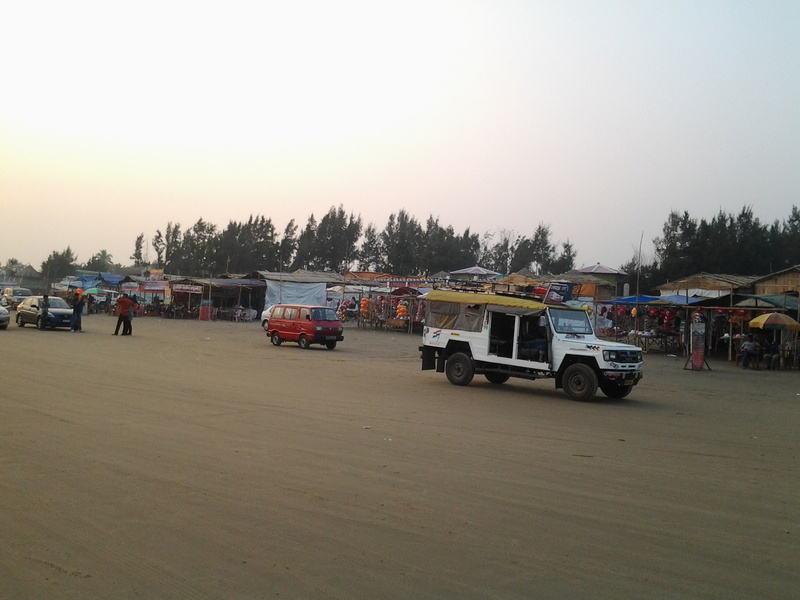 The stall keeper said there was no direct route to Tajpur, as region between Mandarmoni and Tajpur was flooded by water. Turning back was the last option for us, so we asked him for an exit route. 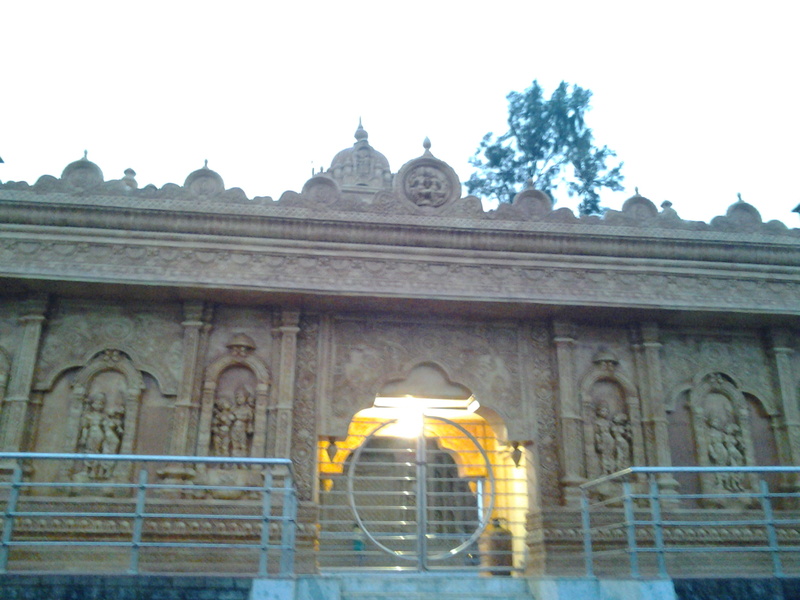 He said about taking a narrow lane from the end of Mandarmoni into a village, then walking to a ghat called “Kheya ghat” (Ferry bank), crossing the creek into “char” island (island made of silt when freshwater meets saltwater), then crossing another creek to reach the other side and finally reaching the mainland at Deuli-bangla. We blinked at him in disbelief. So dad started walking along the lane into the village, I followed him. The trail was rocky and I was hitting a stone at every few steps. The sun went down and we didn’t even have a flashlight. I tried using my tablet for navigation maps, but the map was blank in this region. The stars and common sense made better sense here. We trudged along in the dark, asking the villagers for directions. They told us to walk through a field and a small wood until we saw a tubewell and take a right turn from there. And so we both scurried along. I was a little nervous about falling into a pothole or getting bitten by a snake in the dark but I had little choice. We just kept moving along. 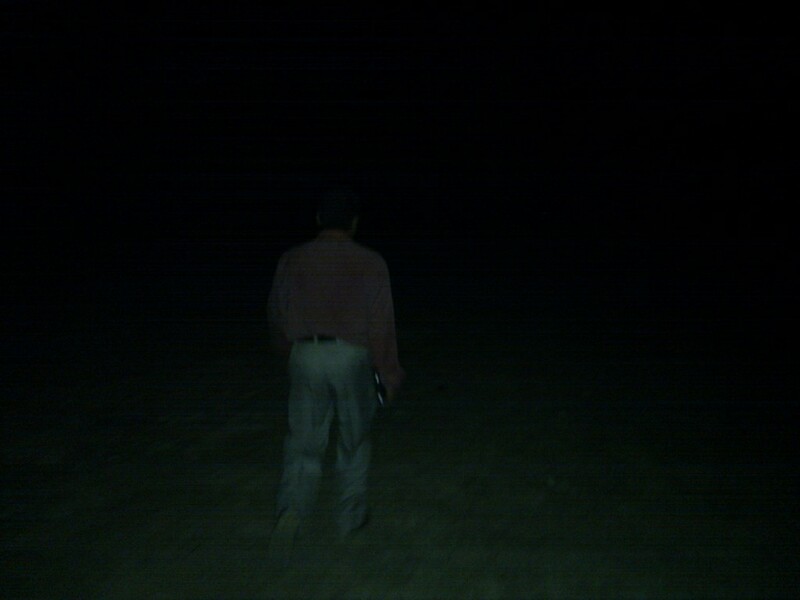 I saw a man standing silently like what seemed to be a ghost/spirit. I was just staring at him and didn’t notice my surroundings. In the process, I almost tripped over a string. Then the man yelled, “Damn it, you just stepped on my marking rope.” I apologised. Then we saw that the track bifurcated into two distinct trails, one straight, one towards the right. I asked the guy for directions, he said that either way will lead to the destination, which put us off and we felt like turning back. Fortunately, another guy pulling a cart came along and he was heading towards the ghat and offered to lead us along. So we followed him on the trail towards the right. We felt lucky that he had a flashlight and we could see where we were going. Then he felt like stopping for a break. Me and dad had no time to wait, so we bade him goodbye and he gave us directions to reach the tubewell. And so we went into another wood, wandering around in the wrong paths. Finally, we managed to reach the tubewell the villagers had mentioned. There were villagers sitting around the tubewell. Some of them were warming themselves in the fire they had lit nearby. We asked them directions to reach “Kheya ghat”. A lady pointed towards the bank and told us to hurry up lest the boats stop ferrying. We both ran towards the bank and stood at the edge. But no, there were no boats in sight. Dad turned to me and sighed, “There aren’t any boats here. We need to turn back.” I replied, “Well, there’s no point turning back. We might get lost. Its better if we spend the night here.” We looked at each other, perplexed. Just then, a small boat was coming towards the bank. We waved at the boatman and he waved back at us. What a relief! Finally he anchored his boat to the bank. We boarded the boat and asked the man to ferry us to the island. He started to row, and the water current made the travel wobbly. My dad asked the boatman about the place, creek and all. What we came to know was that the area was a colony of fishermen and the creek and other brackish water bodies bore fishes. Fish was the primary source of livelihood in this area. In 10 minutes or so, we reached the island. We sat down on a bench to rest for a while. The island was indeed fully a fishing colony and fishermen were busy chatting. We asked them directions to the mainland, and one of them said, “Either you take a boat to another bank and then board an engine rickshaw to Balisai, or you can walk along the bank, cross a bamboo bridge to a village and walk the way to Deuli-bangla. Both will take the same amount of time to hit the road.” So we both began walking. Being in the night without a lamp or flashlight is not a joke, so we started entering the inhabitants’ territories without even knowing what was really going on. Thank lord the people are considerate enough or else we’d have been prosecuted for trespassing (haha!). We walked by huts, tripped over nets and walked by places where fish were left to dry. You know, “shutki maach” (dry fish) making fields stink way too much. We roamed around for a while aimlessly until we reached the bank. Then we started to walk along the bank. Again the trail was so rough, I started to slip over pebbles and stones. Soon enough came a bamboo bridge. The bridge was weak and shaky and I needed to get on all fours once in a while to stop the shaking lest it breaks. We crossed it. Another bamboo bridge was on the way, but this time it was a stronger one so we could walk on it properly. After crossing it, we paid the toll for crossing it as the bridge was a personal property of one villager (Good to see someone maintaining a bridge. 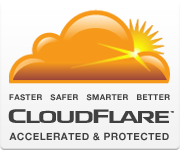 A better option than boarding several boats.) We asked the villager directions to Deuli-bangla and he told us to walk straight for another 3 kms. We walked for a while. The breeze was cool and the weather was pleasant, more like the rainy season than winter. 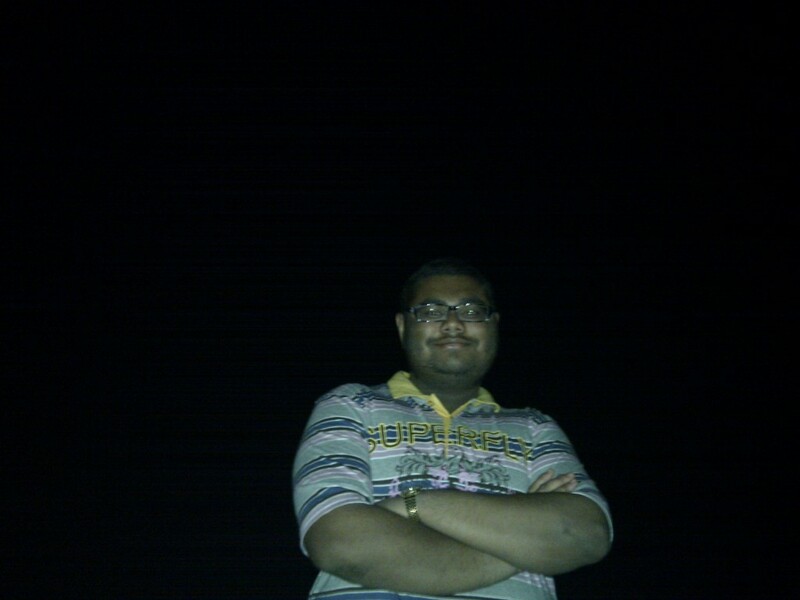 We stopped to take a few photos, but the surroundings were too dark. I flipped out my tablet and launched maps. We were indeed on the right track. We were in a village close to Tajpur and Deuli was not very far away. We began walking again. We passed though a very alive village. Families were talking and watching TV. We could hear the sound of popular Bengali soap operas and some cricket commentary. Then we walked by a school. I began to feel hungry. Luckily a store was close by so I went to it, bought snacks and began to munch. 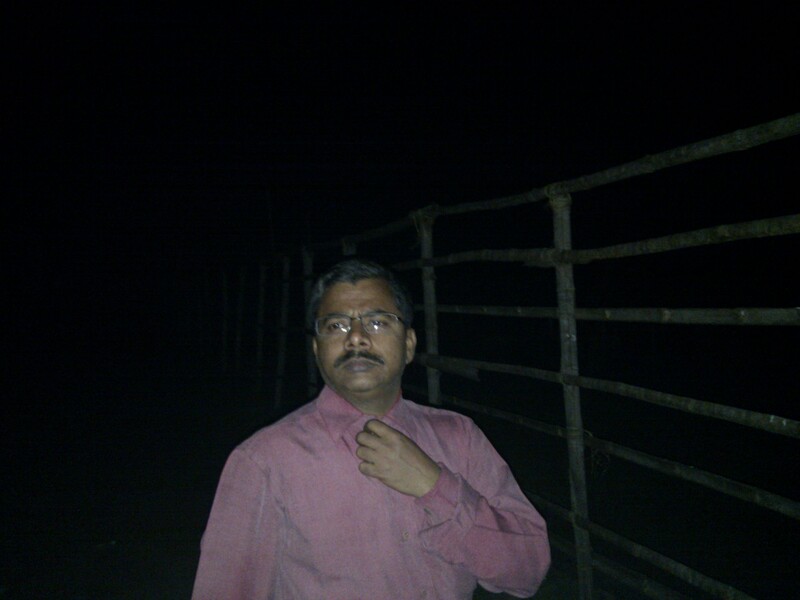 Then we walked until we reached the road side at Deuli-bangla. We sat down at the bus stop waiting for a bus. Click here to see our walk on Google Maps.